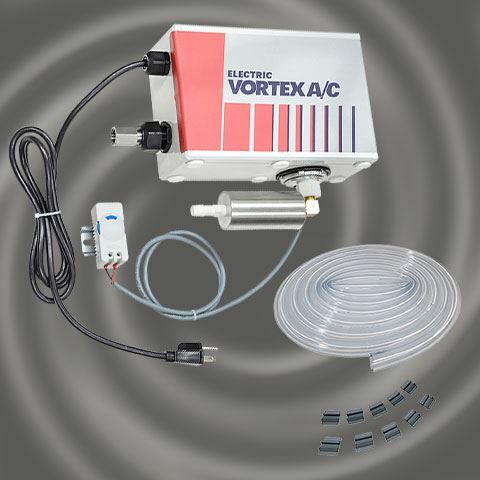 Cold Air Guns are most often used for cooling of metal parts in the machining and repair of metals, plastics, wood, ceramics and other materials. 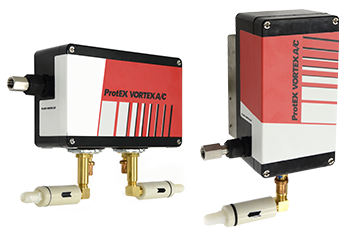 Cold air machining outperforms mist coolants and substantially increases tool life and feed rates on dry machining operations. 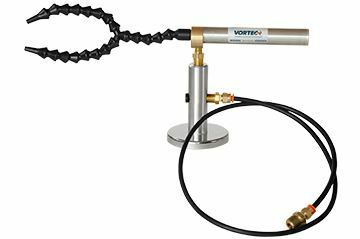 The effective cooling from a Cold Air Gun can eliminate heat-related parts growth while improving parts tolerance and surface finish quality. 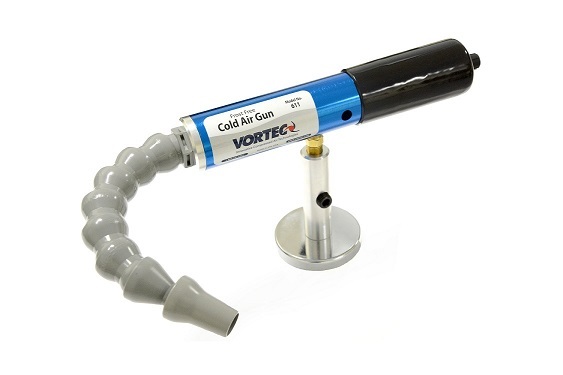 The Mini Cold Air Gun is designed for applications where the standard Cold Air Gun is too large to fit, or where compressed air flow is limited. 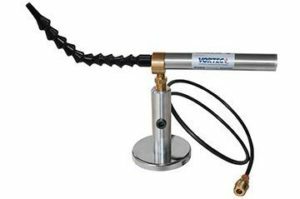 The Mini Cold Air Gun uses only 8 SCFM of compressed air and achieves temperatures as low as 0 deg F. The Mini Cold Air Gun is available with a single nozzle or a dual point nozzle for multi-directional cooling. 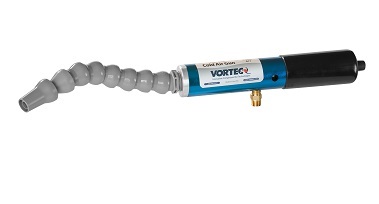 Be the first to review “Vortex Mini Cold Air Gun 680” Click here to cancel reply.